Q. What is a “lark”? A. In our definition, it’s an adventure and playful process of discovery. Something done in a whimsical lighthearted way for fun — to become inspired. 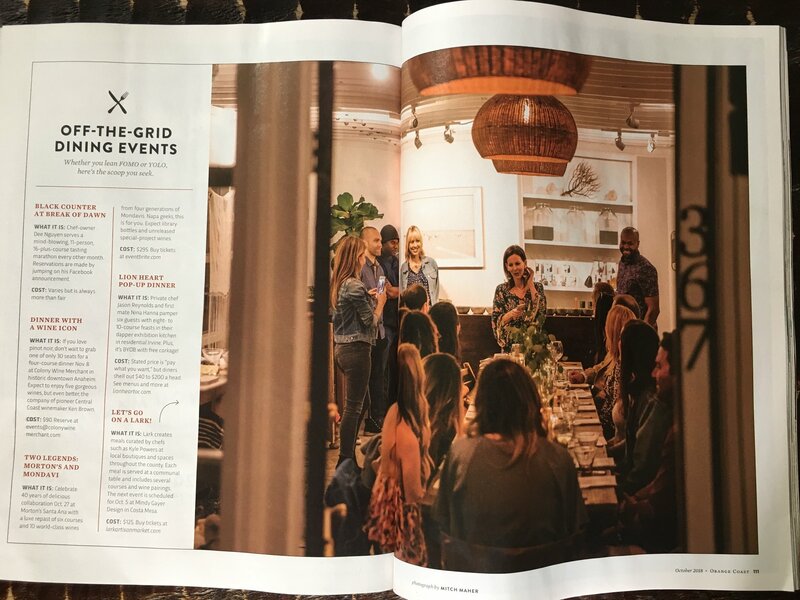 Our lark begins with a pop-up concept, we host well styled pop-up communal dinner parties – in inspirational locations – for people who enjoy a sophisticated, unpretentious vibe with great conversation and beautiful design. Q. What is a Pop-Up? A. A pop-up is where you create a temporary restaurant or store front in any given space. A. If you read or hear about an upcoming event, you are invited! All invites are by word of mouth (mouse). Invite remains open until all seats are taken. Q. Is this a networking event or dating service? A. Our intentions are to make this a unique experience where you can relax, enjoy food, be inspired by design, and connect with great people. Q. What is the Lark Marketplace? A. Items use for styling our events are up for sale. Also, at select events, there will be a small market where you can purchase curated items. Finally, we often pop-up in boutiques, which gives our guest the opportunity to meet the owners, learn about their products, and shop. 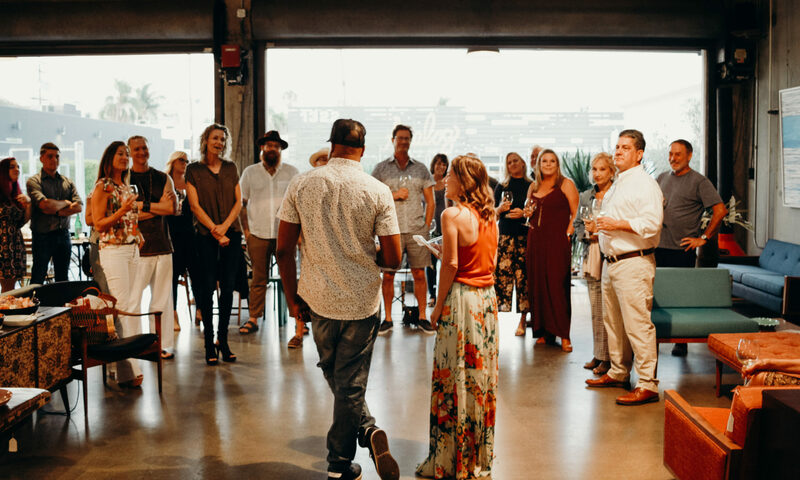 A. Popping up a restaurant and marketplace in different locations is a cool and fun way to bring people together to share what we are passionate about in life. Read more here: lark blog – why pop? Q. What it is like? A. We can share that no two larks are every the same, but every lark is rewarding in it’s own way. Q. Let’s go on a lark? Questions? Write us at: hello@larkartisanmarket.com OR call 714-366-0102.